Join our West Cancer Center family on Sunday, December 3 at 2pm for the University of Memphis Lady Tiger Basketball Game against Illinois! 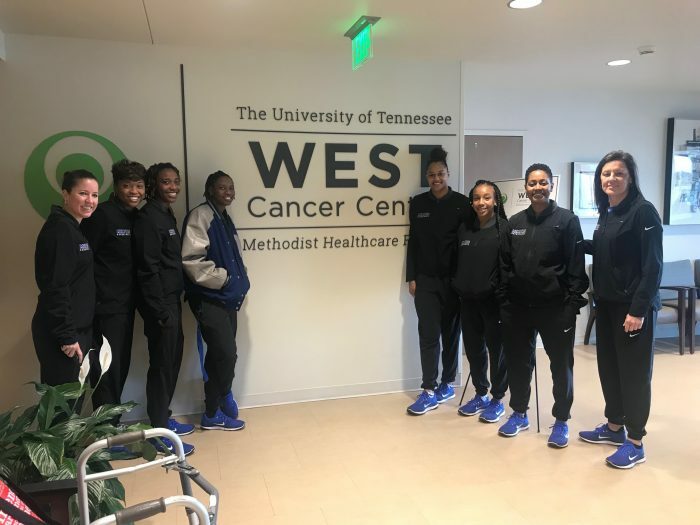 The Women’s Basketball Team visited our Wolf River Campus on Friday, December 1 to meet patients and give away free game tickets and t-shirts. The game ball will be awarded to the West Cancer Center! Don’t miss out on this opportunity to support our Lady Tigers!